Stars & Empire – A USA TODAY Bestseller! | Isaac Hooke. I have some awesome news to share. 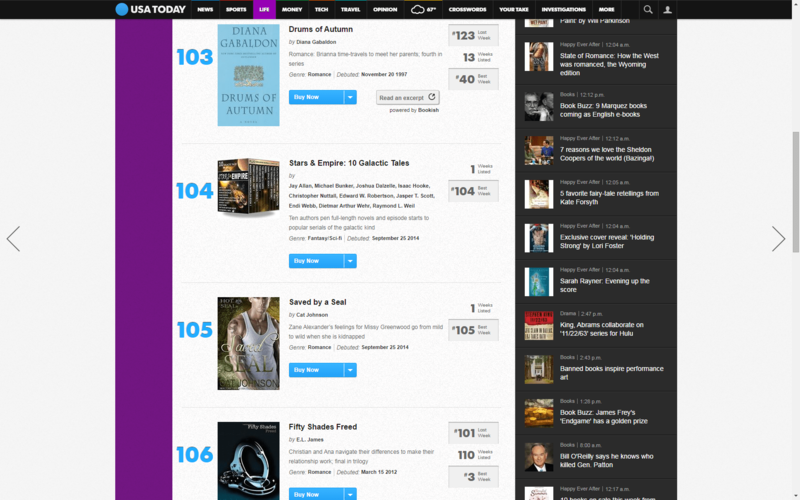 The Stars & Empire bundle, released last week, has just debuted at #104 on USA TODAY! I’d like to express my gratitude to the publisher, Phoenix of Steel Magnolia Press, for guiding us through the convoluted process. And thank you as well, my dear readers, for helping make this all possible.